The traditional shape, compact head and the balance of bounce and versatility. Lacked any feel off the face and couldn’t get much spin. Created from a soft forged 8620 carbon steel to maximise feel and feedback. 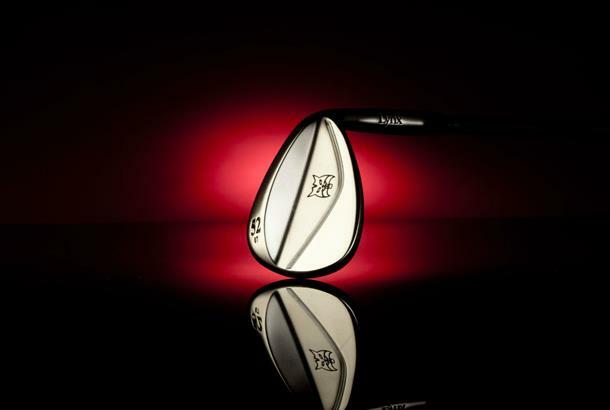 A CNC milled face ensures maximum precision and consistency, a classic teardrop shape appeals to a wide audience of golfers. The Tour’s got a classy on the rack appeal, yet it’s heads bigger and more rounded head than many we tested. A low bounce (7deg on a 52deg loft) means its curved leading edge sits very tight to the turf. The narrow soled head has a tendency to role open at address so we reckon it’s much more suited to golfers confident of their short game ability. We can’t say any tester loved the Tour even if it did put in a very healthy spin performance, but we do have to applaud Lynx for getting a CNC milled face wedge to market for £65. Like Lynx’s Predator there’s not tons of options, but if 52deg, 56deg and 60deg lofts suit your game they do represent decent value for money. It’s difficult for us to heartily recommend a wedge that comes with such limited options. That shouldn’t however take away anything from the two lofts we did try. The Tour performed really nicely in terms of spin for two of our testers even if none really felt the love for it. Head options: Chrome or fossil finish.